FREE DELIVERY available! 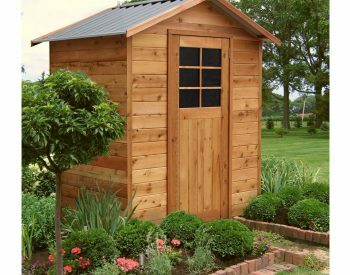 The CEDAR SHED WILLOW 12 x 8 is a large sized timber garden shed or workshop – a handsome addition to your property as well as providing a functional, long-lasting outdoor storage facility or work space. 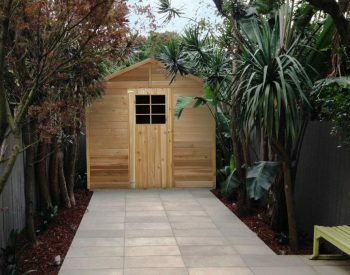 The WILLOW 12 x 8 has a double opening door set with a locking T-handle and 2 opening windows as standard, making it ideal for a studio or workshop. It also features a Colorbond gable roof with overhanging eaves. Options including additional Opening Windows, Loft Shelf, stylish Ornate Wrought Iron Hardware Kit as well as Flooring Kits are available. 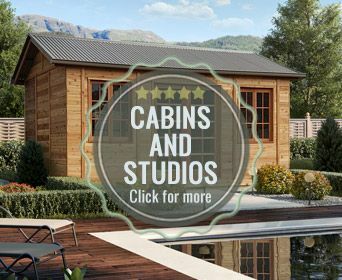 This is a quality shed, it stands apart from the more common, cheaper pine clad products, cedar is a beautiful wood that makes your shed a feature of your property. 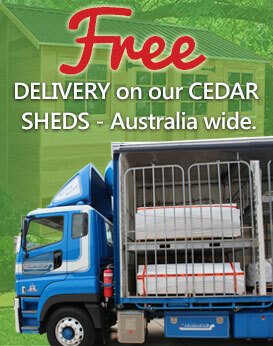 Our CEDAR SHED range of products are manufactured in Australia by Stilla, and constructed using 42 x 42mm termite resistant pine framing and 18mm thick Canadian Western Red Cedar VJ cladding with a Colorbond steel roof. 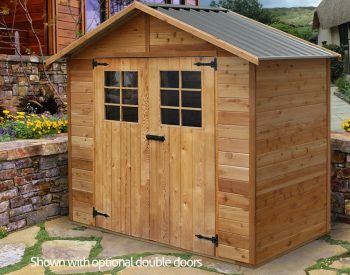 The WILLOW 12 x 8 is supplied in an easy to assemble kit with pre-made panels. The panels come in raw timber (not stained or painted) allowing you to select the finish of your choice. Typically time required for assembly is about 3 to 4 hours excluding the floor. The unit can be sited on a concrete base or paved area, or a flooring kit can be used. 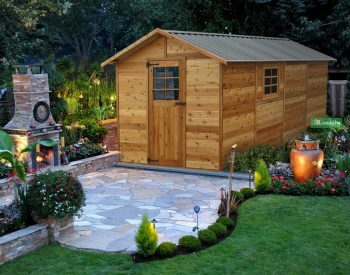 Installation of the Cedar garden shed products is a relatively simple process. The first step is to choose a nice level site in your yard. The floor is constructed either using a recommended Stilla rebated floor or HD floor kit. You can also lay a concrete slab, but our flooring kit is a more cost effective and easier option, its also easier to bolt the shed to our floor than it is to dynabolt to concrete. The HD floor has been specifically designed to reduce site works where the ground is not level. Once the floor is in position the next step is to erect the pre-made walls. Starting at the front corner, the panels are joined and gables fastened into position. The roof is then assembled on the ground, lifted into position and fastened to the walls. Next the hinges are attached to the doors, the doors fastened to the wall and the door handle installed. Finally, the corner posts, cover strips, fascias and the ridge capping are attached to complete the product. 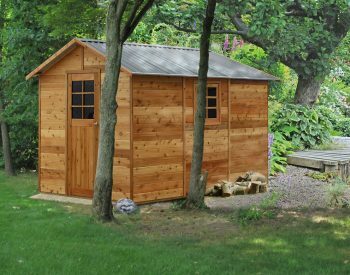 The CEDAR SHED WILLOW 12 x 8 is supplied standard without a floor. A rebated floor is available as an optional extra, as is also a Heavy Duty Floor Kit, both flooring kits include tough, Yellow Tongue flooring sheets as the finished surface. The Heavy Duty Floor Kit provides for installation without the need for a prepared base such as a concrete slab or paved area. 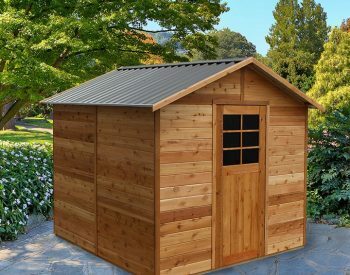 It comes with stumps that go into the ground allowing you to level the shed up and overcome any unevenness and importantly, gives the entire shed a secure foundation. Willow shedVery happy with my finished shed. One panel was damaged in transport but was promptly replaced and shipped so the assembly was not held up at all. Good instructions and easy to assemble for anyone with some diy skills. Great addition to our yard and have recommended to friends and family. Willow ShedWe are extremely happy with our shed. 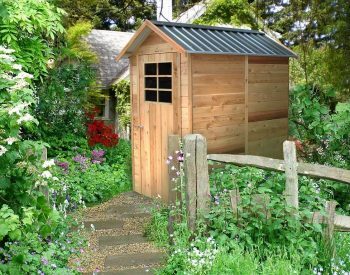 The instructions were easy to follow, and assembling the shed was straightforward. We were missing a section of the roof, but the customer service was excellent, and the part was shipped promptly. We would not hesitate to recommend this product, or company. Thank you so much, we love it! We are very happy with the shed. My wife and I were able to assemble it easily, the only challenge was lifting the two roof sections into place and reaching to screw down the roof capping. It looks great and enhances the view from our kitchen window. 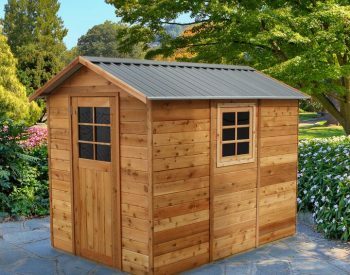 Best garden shed ever.Great shed units and easy to assemble. It took 3 of us to put together as we were building on a big slope and also the wall units needs to be held in place if windy when building. Took about 2.5 days to assemble. We were missing one piece but customer service was amazing and the piece was express shipped to us. The shed looks great, we are very happy. Highly recommended! 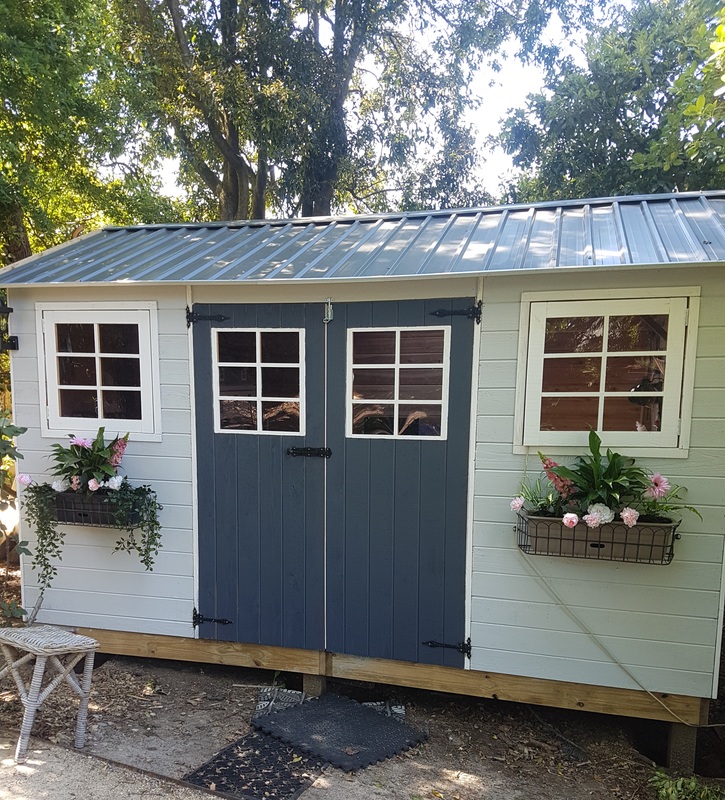 My New ShedI finally manage to build my new shed and I send you a picture. I could not do it on my own though with a help of a friend of mine who has more tools than myself we manage to get good results in the end. Since I already had a footing 3x3m from my old shed I just added a couple of hard timber posts in the middle which have been well anchored to the footing. The whole job including the painting took me about three days (I must add that I am not a very experience builder). 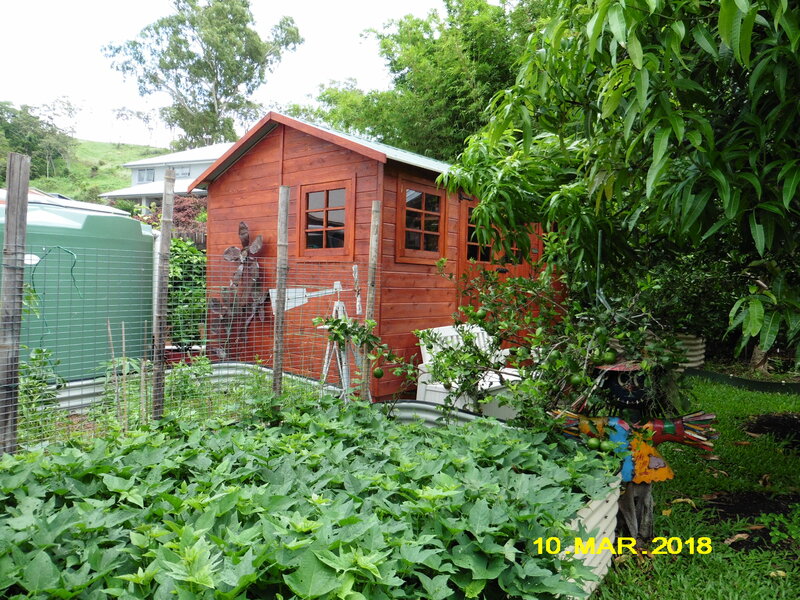 Now I am very happy with the results and the shed is great addition to my garden. The bench that came as a bonus looks great as well and is a very good storage place. Thank you very much! 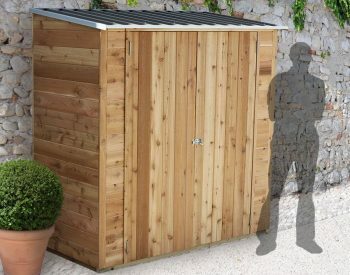 I finally manage to build my new shed and I send you a picture. I could not do it on my own though with a help of a friend of mine who has more tools than myself we manage to get good results in the end. Since I already had a footing 3x3m from my old shed I just added a couple of hard timber posts in the middle which have been well anchored to the footing. The whole job including the painting took me about three days (I must add that I am not a very experience builder). 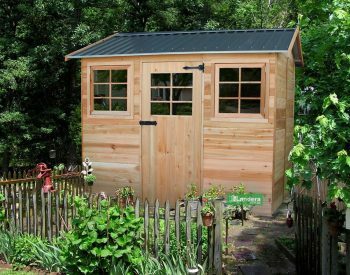 Willow ShedThe shed has proved great for storage and as a workshop. The construction only took a few hours. 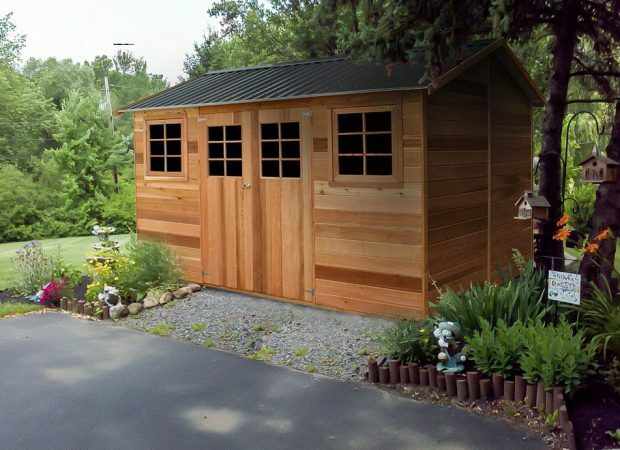 The shed has proved great for storage and as a workshop.